"Wine is constant proof that God loves us and loves to see us happy." - Benjamin Franklin. "A man, fallen on hard times, sold his art collection but kept his wine cellar. When asked why he did not sell his wine, he said, 'A man can live without art, but not without culture.'" - Anonymous. STORAGE is an important consideration for wine that is being kept for long-term aging. While most wine is consumed within 24 hours of purchase, fine wines are often set aside for long-term storage. Wine is one of the few commodities that can improve with age but it can also rapidly deteriorate if kept in inadequate conditions. The three factors that have the most direct impact on a wine's condition are light, humidity and temperature. A fourth consideration is security for expensive wines. Historically the storage of wine was handled by wine merchants but since the mid-20th century consumers have been increasingly storing their own wine in home-based wine cellars. A WINE CELLAR is a storage room for wine in bottles or barrels, or more rarely in carboys, amphorae or plastic containers. In an active wine cellar, important factors such as temperature and humidity are maintained by a climate control system. In contrast, passive wine cellars are not climate-controlled, and are usually built underground to reduce temperature swings. An aboveground wine cellar is often called a wine room, while a small wine cellar (less than 500 bottles) is sometimes termed a wine closet. The household department responsible for the storage, care and service of wine in a great mediaeval house was termed the buttery. Large wine cellars date back over 3700 years. Wine cellars protect alcoholic beverages from potentially harmful external influences, providing darkness and a constant temperature. Wine is a natural, perishable food product. Left exposed to heat, light, vibration or fluctuations in temperature and humidity, all types of wine can spoil. When properly stored, wines not only maintain their quality but many actually improve in aroma, flavor, and complexity as they mature. Wine can be stored satisfactorily between 7–18 °C (45–64 °F) as long as any variations are gradual. A temperature of 13 °C (55 °F), much like that found in the caves used to store wine in France, is ideal for both short-term storage and long-term aging of wine. Note that wine generally matures differently and more slowly at a lower temperature than it does at a higher temperature. When the temperature swings are significant, 14 degrees or more, it will cause the wine to breathe through the cork which significantly speeds up the aging process. Between 10–14 °C (50–57 °F), wines will age normally. £2 billion wine bunker: Disused WWII munitions dump under Wiltshire fields is used to store investors' pricey vintages - Daily Mail. 38,827 Wine Cellar Design Photos - "For avid wine collectors, there comes a point when a collection calls for more than your average wine rack. In such cases, graduating to a full home wine cellar provides an abundance of storage as well as an interesting way to entertain friends. Whether you're storing a dozen bottles, or a hundred, wine cellars range from small fridges to walk-in coolers, so consider the following tips before diving head first into any new wine cellar design." CELLAR TRACKER - "Wine Reviews & Cellar Management Tools." 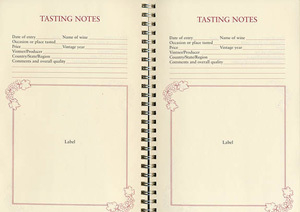 LETTS WINE CELLAR & LABEL BOOK - includes an introduction to wine collecting, vocabulary, food & region guide, wine score sheets, cellar record pages and varietal tasting notes. STORAGE OF WINE - Wikipedia. WINE PACKAGING AND CELLAR - Wikipedia. Wine Storage Cabinet Reviews - Wine Turtle. WINE STORAGE DESIGNS - Lyla Blue (Pinterest). APEX - CellarTec Signatur Cooling Systems. APEX WINE CELLARS - custom wine cellars. BUBEN & ZÖRWEG - since 1995. CAPLE - "At home with style." FALCON - "The Professional's Choice." GE MONOGRAM Reserves - wine refrigerators. GORENJE - wine storage and drinks chiller. Herstal Gray Cori Wine Rack - holds 12 bottles. HOTPOINT - Wine Cooler Fridge. 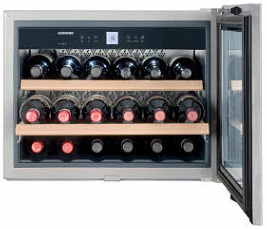 LIEBHERR - multi temperature wine cabinets, wine storage cabinets & wine cabinets vinidor. LINLEY - Antique Wine Company Collector's Case. MIELE - since 1899. "Immer Besser." Wine storage units. Octavian Vaults - "Fine Wine Storage." 10,000 private collectors, investors and wine merchants from 39 countries choose investment grade storage for their collections at our Corsham Cellars, some 100 feet below the Wiltshire Hills, U.K.
RANGEMASTER - "Built from experience." 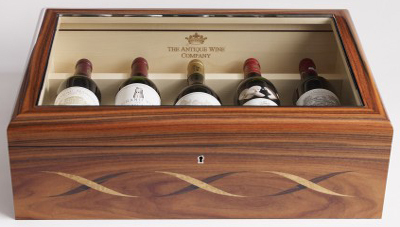 Selection of Wine Storage Units to keep your prized collection at optimum conditions and temperature. Key features include UV-resistant glass doors, heavy-duty shelving and vibration-free operation. Rosendahl Wine Storage/Display Tube - Amazon.com. SAMSUNG WINE CELLAR - compact size fridge. The premium wine cellar furnished with upgraded multi-technology, larger capacity, and prestigious design. 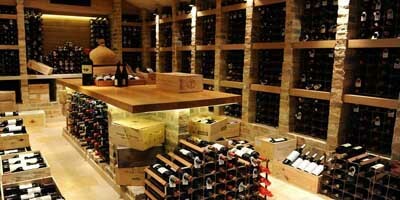 Smallbone of Devizes - wine rooms & storage. Spiral Cellars - since 1981. "Wine Cellars Lesss Orinary." At Spiral Cellars, we design, craft and install exceptional wine cellars that indulge your passion for wine. With a pedigree of over 35 years of knowledge and expertise under our belts, and having created more than 3,000 wine cellars in the UK and numerous others around the world, Spiral Cellars has become the company of choice for those wishing to create a wine cellar in their home. SUB-ZERO Wolf - wine storage. VIKING - wine cellar storage systems. Vin de Garde - wine cellars, custom cellars, cooling units, wineracks. 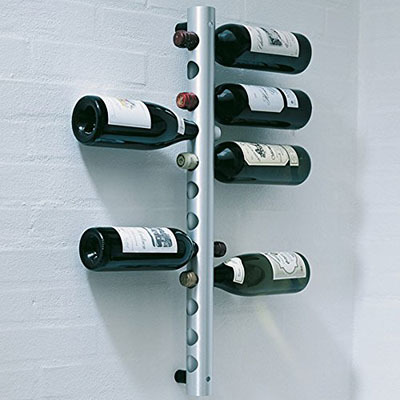 VINOTEMP INTERNATIONAL - custom wine cellars, wine racks, wine coolers, wine storage. Vintage View - Clean. Simple. Elegant. "It is our mission to make the VintageView Wine Storage System the industry standard for wine storage and display throughout the world." 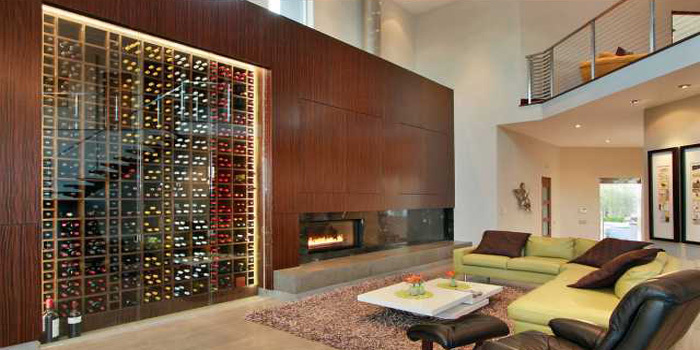 WINE CELLAR INNOVATIONS - custom designed wine cellars and wine rooms. WINE HARDWARE - "You've got the wine, we've got the hardware." Whatever your budget, whatever the size of your collection, Wine Hardware carries the very best in refrigerated wine cellars and cabinets.